The ideal way to revolutionize your smile without the hassle of traditional braces, Transparent aligners is virtually effortless. Nothing is as important as a genuine and heartfelt smile. Whether in your professional life or when you are out socialising, an attractive smile can make you feel happier and more relaxed - as well as making the right impression. If you've ever thought about how improving your smile could help you to feel more confident, Transparent aligners might be for you. 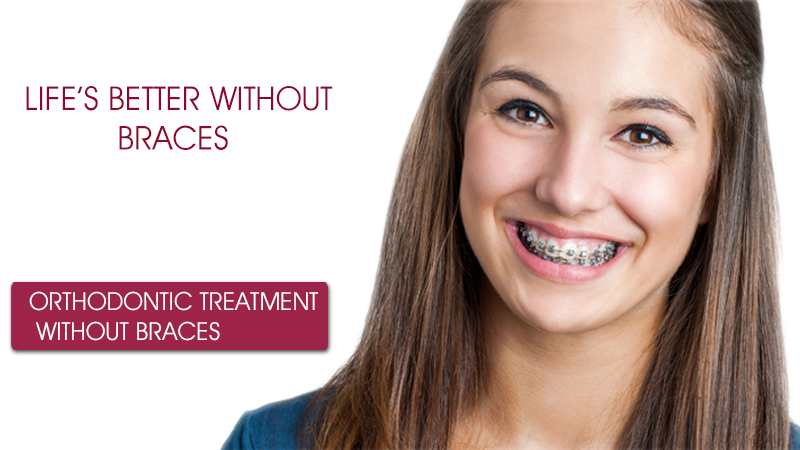 With the Transparent aligners technique you can have the smile you always wanted, without traditional, metal braces. Transparent aligners can help to treat a variety of orthodontic concerns including teeth which are crooked, crowded or with gaps - but because it is clear, removable and comfortable, it won't interfere with your life. Because it's nearly Transparent almost no-one can tell you are wearing Transparent aligners, so you can smile more during as well as after your treatment. You can remove Transparent aligners so you can eat and drink what you like, and studies have shown that it can be better for your dental hygiene2 during treatment as well! With no metal or sharp edges, Transparent aligners is comfortable to wear and does not cause allergies.So far over 2 million patients worldwide have more reasons to smile - thanks to Transparent aligners. What is the process for Transparent aligners treatment ? The process begins with a simple evaluation. Using the latest in 3-D imaging technology, Dr. Ratra will help you design a complete treatment plan to reach your goals. Every two weeks, you'll get a new set of hassle free Transparent aligners that are individually made to your mouth's exact specifications. Over the course of your treatment, they'll help your teeth shift into place. Dr. Ratra will help you decide on the right treatment time, and unlike traditional braces, you'll get flexibility and a great smile at the end of the process! You can count on the experience and expertise of Dr. Ratra to oversee the Transparent aligners process so that your results are exceptional. If you've always wanted to get braces but were concerned about how you would look with them on, Transparent aligners is the ultimate way to look great now and to look even better later on. The Transparent aligners process uses a series of clear, plastic aligners that effortlessly fit over your top and bottom sets of teeth. They gradually help your teeth move to a more naturally aligned position. Transparent aligners is the perfect solution for those folks who only need mild changes to the position of their teeth. Best of all, you can take Transparent aligners off when you need to eat, drink, floss and brush, and then slide them back into place. The Transparent aligners system has helped thousands of teens and adults capture that perfect smile they have always wanted. On average, the total treatment time for your Transparent aligners braces is about 10-16 months, but Dr. Ratra and his team of experts will give you a better idea once you have your initial consultation. Once you begin wearing your almost Transparent Transparent aligners braces, you'll continue to have appointments about every four weeks to make sure that you are on the way to a brighter, straighter smile.